Hello friends. Welcome back to “What’s What on SoundCloud”! The following are some of the noteworthy tracks I’ve been listening to recently and feel that you should be listening to as well. Sam Gellaitry is an electronic music producer out of Scotland who found his success on Soundcloud thanks in part to the underground music conglomerate, Soulection Radio. With goofy synth leads, quirky jazz chord progressions, and an overarching cinematic feel that invokes a sense of nostalgia, Sam G is one of my favorite artists to date. After he tweeted “gonna release all this stuff I’ve been sitting on in the next couple of days” last week, I knew we were in for a treat. If you listen to only one song from this blog post, “want u 2” should be the one. The instrumentation on this track is incredibly well executed. Gellaitry knows how to create compelling syncopated melodies that leave you with no option but to nod along with the beat in satisfaction. Whether you’re at a huge party or listening on your own in your room, this groovy track is sure to please your ears and your soul. “Pyrotechnic” is a little more quirky. Sam is super liberal with the chops, creating a sense of anticipation as you wait for the beat to come back in after it cuts out. He slaps this track in the face with his distinct eccentric style. If you haven’t given Gellaitry’s discography a listen, I highly recommend it. To conclude this week’s discovery, I’m throwing it back to 2014. “At All” is, without a doubt, my favorite Kaytranada track of all time. This funk-house banger is the perfect thing to listen to on a late night drive around town, or really any time you just want to dance. Kaytranada’s distinct bass lines and combination of bump and groove give this track the perfect balance between the funk of yesterday and the house music of today. 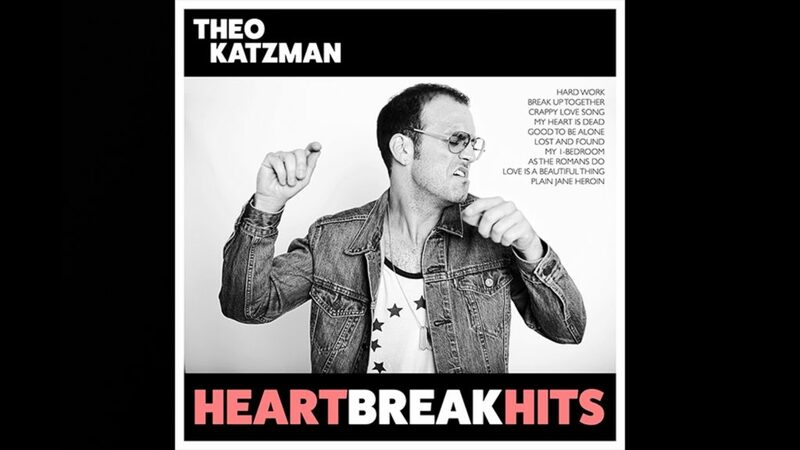 I was listening to my Discovery Playlist on Spotify earlier the week when I found someone I had to talk about, an LA based rocker named Theo Katzman and his album Heartbreak Hits. Katzman’s Soul, Rock, and Jazz influences combine to create a modern rock album that hits all check marks, even a punky picture of the lead man on the cover, and it’s all I’ve been listening to this week. There’s not a bad track on this album, from top to bottom and front to back it’s solid as a rock. The opening track I Put In The Hard Work where Katzman laments time and energy put into a past romance, gives us something of a teaser. While subject matter, like most songs on this album, isn’t going to give anyone a revelation about break ups, it’s so well done I couldn’t help to groove to it. 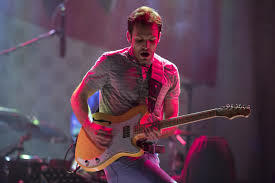 The guitar heavy intro brought me in as a well composed swinging beat topped off by Katzman lyrics sung with in classic rock falsetto, there was no escape I needed to listen to the whole thing. Heartbreak Hits isn’t afraid throw a fast ball and switch to a slow song like Break-up together and my 1-bedroom. Katzman’s grooving energetic tone somehow sticks around during these tracks and I still found myself rocking back and forth as he shows a more sensitive touch. These songs are heavily influenced by Katzman’s Jazz upbringing with a strong focus complex melodies and employing full use of the chorus and piano that otherwise take a back seat to guitars and Katzman’s lead vocals for the rest of the album. Katzman is at his best when he goes loud. In this humble editor-in-chief’s opinion there is no exciting moment on Heartbeak Hits then when Katzman goes full rocker. 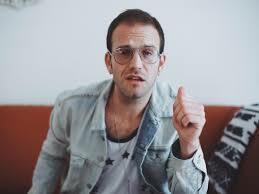 The guitars whale, the drums burst into a beat straight out of the garage, and Katzman puts all out there the mic. My Heart is Dead, Lost and Found, and As the Romans Do are the type of polished and heart-felt rock songs that we just do not get a lot of these days, and it’s great to hear a student at the Art go town. Although with all of that said I would be remorse if I didn’t mention the album’s most powerful track. Paine Jane Heroine. I can’t tell if the song is about a girl, Heroin, or some combination of both. But after learning about the Opioid epidemic that faces our country this week I couldn’t help but be moved. The song is sliced somewhere in the middle when it comes to energy, not soft not loud but perfect for painting the picture of drug addiction and its disastrous effects on lives. The sincerity and simplicity that make this album work is on full display and if you are going to listen to one song off this album this is the one. Heartbreak Hits isn’t a complex album. 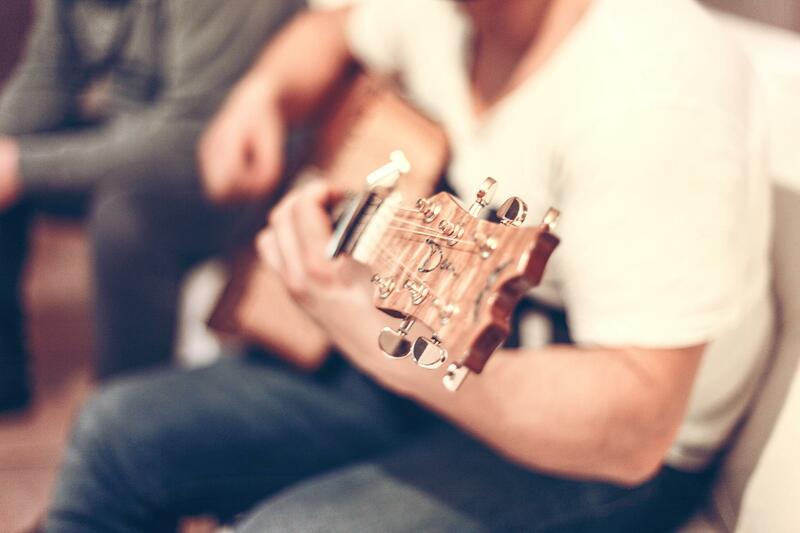 There’s minimal amounts of production that creates a clean sound. There is no wonky instrumentation to create some weird hook and Katzman barely isn’t flashy in any sort of way, he is just a dude lookin’ to rock. It’s ten solid Pop Rock songs on level that I haven’t heard in while that together create the solidest album I have so far this year, take or leave it, but that it’s what’s on my Spotify. 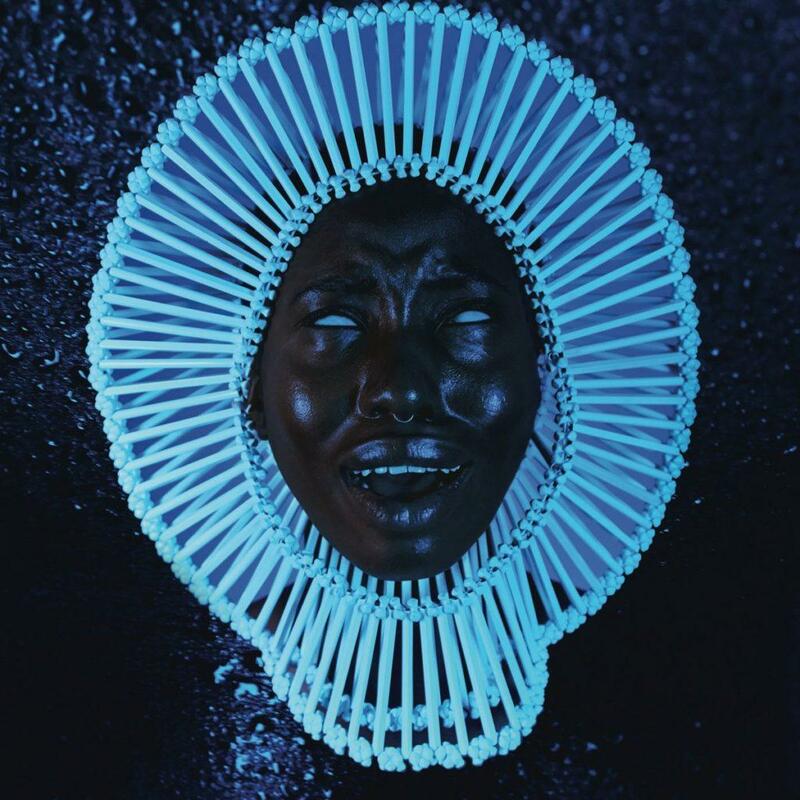 On Kendrick Lamar’s 2015 masterpiece, To Pimp A Butterfly, we heard him calling out to the world, “We want the funk.” It seems like Childish Gambino heard him and indulged his request because Awaken, My Love! is oozing with soul. Donald Glover unveiled this newest project at a three day album-listening event called Pharos in Joshua Tree National Park, CA. This was in September and many fans were prepared for the upcoming release then, only to be disappointed until December when we received another iconic album from a hip hop demigod. Donald Glover picked up right where he left off on Because The Internet. Towards the end of his 2013 LP, Gambino focuses a little more on his singing and introduces some voice augmentation, which are staples of this new record. If you are a fan of Donald’s rapping, this new album might be a little disappointing for you. I’ve been a sick boi (fan of Childish Gambino. Girls are called Gambino girls) ever since I heard “Crown on the Ground” in 2009. To give you an idea why, check out KaptainKristian’s video about why Donald Glover is the ultimate modern renaissance man (https://www.youtube.com/watch?v=OgQ3Hpj-CBU). One of the reasons I’m such a big fan of Donald Glover is that he never seems to shy away from who he is. He is impressively authentic and it’s what draws so many adoring fans to his shows. For much of his career as an entertainer, he has been an oddball: a token character trying to find his way in a world where not a lot of people look like him. It seems like this type of isolation plagued him as a child as well but his art has been a lovely side project in what I’m sure is a very confusing life. Donald Glover has been many things in front of his audiences: Goofy, mature, unfiltered, closed-off, the list could go on. But the one thing that Childish Gambino has always skirted around is his blackness. He has always poked fun at it in his raps and stand-up shows and he was never being disingenuous when he did acknowledge his skin color. He was simply being Donald. But it seems in this latest LP that he is ready to declare his ethnicity to the world. Instead of it being the reason why the kids at school made fun of him or why he is automatically given a pass to rap as an actor, it is the reason for his deep love of life and his fellow humans. He doesn’t even talk about him being black specifically on the album. He just is. And it’s beautiful. If you like good, energy-filled, touch-your-soul type of music, this album is for you. My dad raised me on funk and soul music so I am definitely a little biased in my opinion of this record. It’s not perfect by any means but damn is it fun to listen to. There are not many artists these days that have the audacity to attempt to create an LP that is expressive, expansive, and coherent. Even fewer are able to succeed in this endeavor. Solange does. A Seat at the Table, Solange’s third studio effort, is an album that has the potential to be a definitive art piece in the struggle of civil rights in the 21st century. This is her first project in 8 years and it’s okay if you’ve never heard the name Solange Knowles before. She has been living behind the incredible shadow of her sister, Beyoncé, for the vast majority of her career but here second album, Sol-Angel and the Hadley St. Dreams, and this more recent one are two very good reasons why she deserves her own reverence from the music industry. Disclaimer: this album is not Lemonade, and it is most certainly not trying to be Lemonade. This album, like her sister’s newest work, is a celebration of blackness but that is where the similarities end. Even how these woman honor being black is completely different. Solange, rather than making an aggressive, almost militant declaration of freedom from the social constraints of traditional racial roles, takes a more earnest look at the state of black people in America today. Two songs that I felt really embodied her over-arching message on this album are “Interlude: Tina Taught Me” and “F.U.B.U.”. The first discusses a pride in being black and who you are and recognizes that just because you take pride in your culture, that does not mean that you are trying to disrespect someone else’s foundations. The latter discusses the rise in black culture and the potential of black people in the face of implicit bias and straight up racism that still exists in America today. What really struck me about the tone of this album was the underlying sense of optimism and confidence in her people that Solange carries throughout this record. She seems to recognize the gains made by black people in the last 60 years but she never forgets that there is still a battle raging in this country for black peoples’ unalienable rights that very much needs to be fought. A Seat at the Table will not go down as my favorite album of the year. It is a long 21 songs and her stripped down production is beautiful but after the first 30 minutes, I could use a change in tempo. On the positive end though, the transitions and interludes are fantastic, the production is definitely on point, and her message is clear and beautifully worded. I really enjoyed this album, especially the songs “Cranes in the Sky”, “Don’t Touch My Hair”, “F.U.B.U.”, and “Junie”. 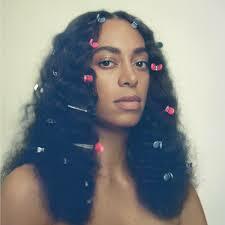 A powerful and elegant effort, I have to give Solange props on this album and those four songs will definitely be in my rotation for the next few months. If Sam Cooke’s voice wrote the founding document that joined gospel to popular music then Otis Redding’s voice was that of a foot soldier defending his legacy at the crossroads of soul and blues music. Cooke’s voice testified from the pulpit while Redding’s was a supplication, brother-to-brother, at times full of pain and raw power, at other times love and tenderness. Often his songs covered this range in a matter of a few minutes with relative ease. Listen to Otis’ cover of his idol Cooke’s “A Change is Gonna Come” and you can hear him pleading for understanding, his voice imbued with the tragedy that accompanied the everyday lives of baby boomer African-Americans. His pleading in the “I go to my brother” bridge is an exquisite rendering of a soul lost in translation among his fellow men. Redding’s remarkable talent was his inspiring ability to interpret the texts given him; he covers two more Cooke songs on Otis Blue, “Shake” and “Wonderful World,” both of which he turns on their respective heads. “Shake” is sped up to a mid-60s discotheque-bouncing groove while “Wonderful World” is inspired by the very Cha-Cha rhythms that Cooke made popular. The other Redding compositions, “I’ve Been Loving You Too Long” and “Ole Man Trouble,” are wonderful, highlighting Redding’s own compositional talent. “I’ve Been Loving You Too Long” is a painful love song, where man and woman would be better off without each other but can’t seem to figure out how to break away. It has been used in countless movies and T.V. shows, as though each producer knows that with just Redding’s one note at the beginning, he/she can get a viewer hooked not only on the scene but also on a feeling. “Ole Man Trouble” is a meditation on the relationship between the singer and blues he/she sings, dark and mysterious. 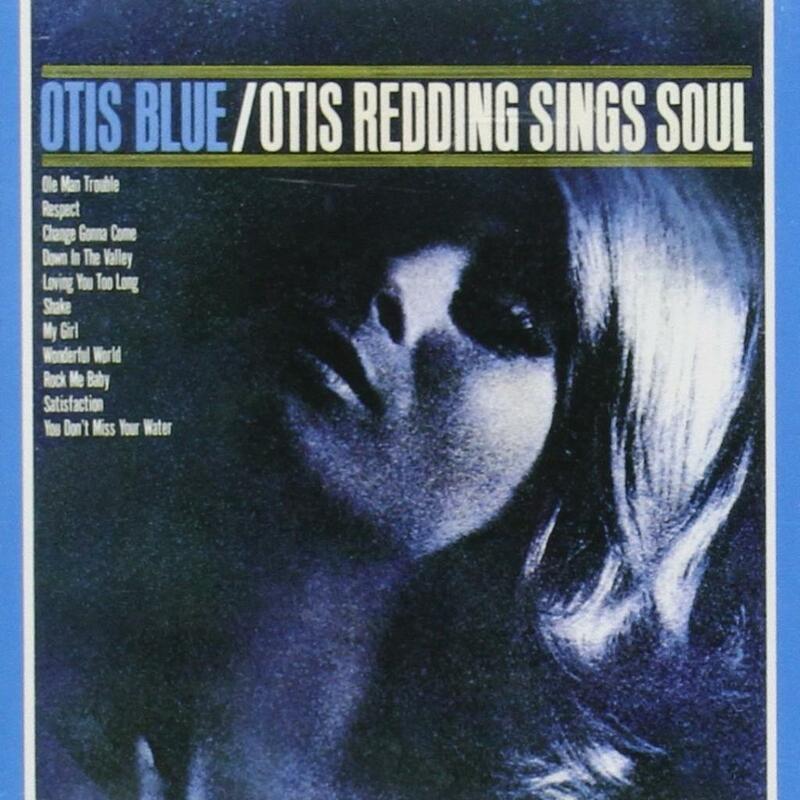 Otis Blue/Otis Redding Sings Soul is Redding’s first masterwork, a painterly description of soul music that vacillates between plaintive ballads and up-tempo stomps that illustrate what soul is, from A to Z. What remains after listening to Otis Blue is the immortal power of Otis’ voice, how it invites and informs you with pain and tenderness, wit and bravura, to stand witness to his testimony of soul music. 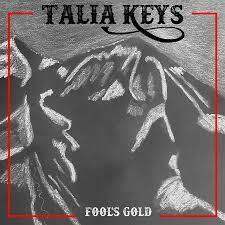 Talia Keys’ Fool’s Gold album is soulful collection to be reckoned with. With songs she has developed and created over the past 8 years, each has unique tone, while seamlessly working together. In other words, none of her songs sound the same. Keys’ powerhouse of a voice has the range from grind and grit to the soft and soothing, which can be heard of in each of the songs. The convictions of emotions are heard right off the first track Help Me, and a softer tone is heard in Intergalactic Crime Scene. Politics combines jazz and rock, and to close out Fight With Love uses everything from trumpets and sax, to classic guitars and bass. Her lyrics express her opinions clearly with a variety of topics and issues. She is now pursuing a solo career, and with that she is able to connect more through her music. Openly bisexual, she uses her talent and artistry to make a name for herself and a figure for the LGBT community. In the song Help Me, she describes discrimination in its forms of sexuality, gender, and even race. No Justice No Peace also equally shows her fighting activist spirit. From the lyrics, to the recordings which are basically live, everything you hear Keys’ soulful magic. Some of her lyrics can be explicit, however they add to the expressive emotion. Keys’ entire album is raw. Fool’s Gold is a progressive, soul-rock album and worth a listen.